I finally got paid yesterday which means I can start spending again. Although I need to go steady as it did cause me problems towards the end of last month. I have just ordered 'West Side Story' for now, so I am looking forward to that, especially just having read about it in Hayley's book too. Celtic Woman - A New Journey DVD is an absolute must. Hayley is seen quite a lot throughout, sometimes solo, and sometimes as part of the group. The production is magnificent and it is one of those DVDs that I could watch a thousand times and never tire of it. As with all things, it is a matter of opinion and others may not agree but I have a feeling you would love it. Thanks, you have just persuaded me, I certainly trust your judgement on these things, especially after you persuaded me to get the 'Live In New Zealand' DVD. I loved the CD and the DVD sounds even better, I am looking forward to it. Celtic Woman - A New Journey DVD is an absolute must. I second that wholeheartedly. My judgement may of course be biased because there is quite a lot of Hayley there, but I think the DVD is really quite a remarkable collection of vocal talent viewed on its own merits. Before seeing Roger's suggestion and after scanning your list, I also thought straight away 'Get the Celtic Woman DVD'! No hesitation there. You will enjoy it immensely, I'm sure. There is also a short bonus video showing the girls rehearsing before the shows. It will give you an interesting insight. Of course, it's nothing compared to the show itself. I watch it over and over again and it's getting better every time I see it. I really can't wait to hear your comments about it. I'm looking forward to reading your comments too. As there already seems a unanimous decision as to what you should get next (which I also concur with by the way) I will just add a little bit just in case you decide to go for something else as well. As Roger says, the full CD's won't give you much that you haven't already got, the two Japanese mini albums are usually quite easy to get and I would perhaps suggest you go for these next. The Wuthering Heights CD/DVD's are not readily available and when they are they can be quite expensive. Both are worth getting and you may be lucky and get one at a good price. Keep checking Amazon and Ebay etc. and be prepared to jump in when the opportunity arises. CW DVD is a must- although you may get addicted to them and spend even more money! It looks like the Celtic Woman DVD is a very popular choice, I am now glad that I went ahead and ordered based on Rogers post rather than waiting for other replies, it seems like it was a good decision. Grant, thanks a lot, I will keep my eye out for The Wuthering Heights CD/DVD, as you say it seems like it is something that I need to get if the opportunity arises rather than put it off any longer. which Celtic Treasure- the one with or with out the Mummers Dance? 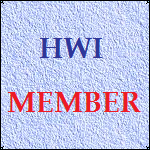 TO ALL MEMBERS OF H.W.I. You'll find some of the disc info on the main HWI site. Thanks for that. It has cleared up most of them but it does not include, Crystal, Best of Hayley Westenra, Wurthering Heights single/CD. I shall look at these threads to see if I can sort those out as well. We don't usually include compilations on the Discography page which explains why 'The Best of' and 'Crystal' don't appear. We decided to include 'Prayer' because, although a compilation, it is the only CD to include several tracks which were only previously available to download. The 'Wuthering Heights' single was withdrawn prior to release due to copyright difficulties. Several became available in Japan but we were never able to confirm if they were officially released or whether they merely "escaped". As far as we know, we have included all original albums, singles and soundtracks which have been officially released somewhere in the world.